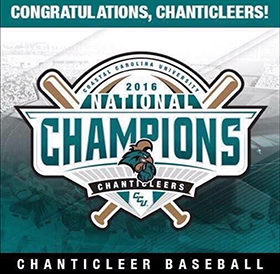 Enjoy America’s favorite pastime! Beginner to intermediate boys and girls will have fun learning baseball fundamentals and skills in this camp. Throughout the day campers will participate in many different scenarios and drills specifically designed to keeps players engaged. Each day will end with players being drafted onto teams and compete for the world series. Every Friday is our competition day giving campers a chance to compete in activities such as Homerun Derby, Golden Arm, Road Runner, and many other challenges. Learn more and register online at Bullis Summer Programs. 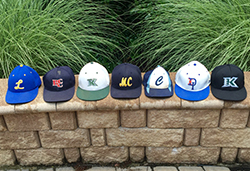 Is your team traveling to baseball tournaments this summer? Whether they are playing in local tournaments, Regional AAU tournaments or National tournaments—like Cooperstown with over 100 teams—this camp is specifically designed for travel and Select Baseball players, ages 10 to 12, who plan to participate in top tournaments. Are you a high school players preparing for a summer showcase or just looking to get some practice before an evening game? Small Ball Baseball Academy has designed a comprehensive workout for all players from an array of local high schools and organizations from near and far. Let us guide your son through the advanced training he will need to be successful at the next level. Afternoon Routine: Afternoons were made for Hitting! Sessions will include Live BP, Batting cage, and unlimited amount of stations designed to improve your at bat. Players will build a better Approach, Stance, Swing, and Philosophy to ensure they become a complete hitter. Let our highly qualified staff guide you through the reps they need to succeed while teaching them how to practice like a Pro! "The catching position is one of the most over looked position at practice. Therefore how can they get better if they don't know how to workout on their own." The number 1 excuse for Catcher's not practicing is knowing what to work on to get better. Both 3 hour workout session are designed to teach catchers fundamentally sound mechanics while educating them on ways to work on their craft. Upon completion Catcher's will be armed with multiple drills allowing them the chance to practice in small spaces independently. Passball Recovery: Get to the ball ready to throw. Give your player a leg up this season by attending Small Ball Baseball Academy's Winter Workouts. This Progressive Clinic will guide players through all aspects of the game. Throughout the 10 weeks players will focus on the fundamentals of hitting, fielding, throwing and conditioning. These workouts will allow players to receive the repetitions needed to gain the confidence and knowledge to succeed this spring. March 5, 12, 19, 26. Mechanics 101: Learn the key checkpoints with proven drills pitchers need to be successful. Variety of Pitches: Fastball, Changeup, Curveball's can all be safe if thrown correctly. Pitch with Purpose: Take control of batters by changing speeds and locations. Controlling Runners: Learn multiple pickoff move / when and why to use them. Proper Conditioning: Preparing your body/arm to handle the rigors of the season. Fielding Your Position: Covering 1st base and pass ball plays at the plate. 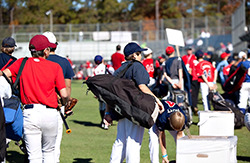 Since games are scheduled one after the next and parks are often too busy, coaches and parents have a difficult time properly preparing their players for success. Our open format allows them a chance to get extra practice and develop a winning warmup routine. Send your players to the field and allow our staff to run them through multiple stations of Hitting, Infield, Outfield and Pitching. Our goal will be to provide every player maximum number of repetitions on game day. Parents and Coaches are welcome to take their players into the Free Play Section of the field to work on any specific needs. Enjoy America’s favorite pastime! Beginner to intermediate boys and girls will have fun learning baseball fundamentals and skills in this camp. Whether you are trying out for your local league or the newest travel baseball program, this clinic will focus on preparing your players with the skills necessary to succeed. Every organization and coach might have a different opinion on the right and wrong ways to do things in the great game of baseball. Who's right and who's wrong is not what we are here to discuss. Our goal will be to teach the players the skills all coaches like to see and provide tips that can help increase their overall grades which will improve their chance in getting drafted by a team. Locations: The Heights School Baseball Field. To register please send email with name, number, child's league age. Small Ball Baseball Academy, (202) 716-6667, info@smallballacademy.com | Base Content Copyright © 2019 Market Hardware, Inc.